Are you a local manufacturer? Do you need pictures of your plant and the machinery? We are here to help with your industrial photography. Isa Aydin’s expert photographers have an eye for detail and know just how to capture your industrial business at its best. With our creative approach, you can be sure of high-quality images that convert viewers to customers. Industrial photography is a specialized area which showcases your industrial processes, machinery, techniques, and workers and employees. It’s not just about taking pictures of how the individual parts work. Industrial photography focuses on the bigger, manufacturing processes, picture—how the different parts of your company come together to manufacture your final product. Promoting your business is not about just having great pictures of your latest product. Showcasing your manufacturing and industrial processes is just as important. That’s where industrial photography comes in. Potential clients and B2B customers want to see your business and employees in action. 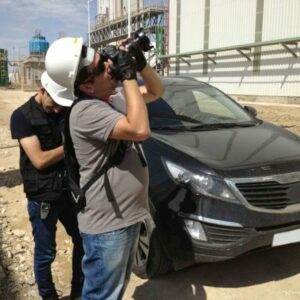 Isa Aydin offers industrial photography services that show your company at its best by detailing your business activities. The key to success for any company is attracting new clientele. At Isa Aydin, we understand this and help you get your company’s message to potential customers and clients. Whether it’s for brochures, trade show display stands, or to improve your website, industrial photography is a great way to present and promote a business. And with over 10 years of experience in this field, you can rest assured that you’re in great hands with the Isa Aydin team. We are a dedicated team of industrial photographers in New Jersey who meet all safety policies and works under harshest conditions! Having a skilled film and industrial photography crew empowers us in creating targeted corporate videos that will clearly describe your services to your clients. With 10+ years of experience in Industrial Photography and 100’s of happy clients, today we can say. WE KNOW WHAT WE DO! Precautions need to be taken when preparing for an industrial photography session. Wearing the correct safety clothing and equipment is just the beginning. Carrying the right equipment for the task at hand is vital, sometimes this is just the camera, at other times it involves harnesses and ropes for climbing. Our photographers are prepared for any situation. Our team have the expertise to understand your business, whichever industry you are in. Most importantly, they are constantly aware of the health and safety requirements necessary for working in any location. It is not always possible for products to be transported to the Isa Aydin studio. If this is the case, then we transport ourselves to you. With all the essential studio equipment we need, from cameras to portable lighting units, we are ready to set up at any facility. While your crews continue working, our team will work around them, eliminating downtime. With their eye for detail, our photographers will shoot quality photos of your facility, products, and staff. On-site photography gives potential customers the chance to see your employees working hard. Getting quality shots of your product is essential when it comes to attracting potential clients and customers. We focus on taking photographs that show the attention to detail that has gone into the products your business creates. From small circuit boards to large, complex systems, our industrial photography team will capture the precision that has been applied during manufacture. Using high-definition cameras and the right lighting, we emphasize the quality finish of your product. Your company is not just about the final product or the processes behind it. Employees are the backbone of any business. Business portraits are a great way to show your personal side, and they don’t need to be taken in an office. Professional pictures of your employees can be taken in any workplace. Isa Aydin utilizes both posed images and on-the-job portraits to highlight the personalities and expertise of your employees—all while holding true to your brand. Sometimes in industrial photography, your equipment is used as a backdrop to give clients a clear picture of how you operate. They can see exactly what your staff do, the environment they work in and how they work. Sometimes it is your building and location that sets you apart from your competitors. With architectural photography, Isa Aydin can capture your facility to influence the perception your clients have of you. Photographs are taken throughout your building including the exterior, production floors, and the storage areas. Isa Aydin’s photographers will shoot the building from many angles to show the physical scale of your operation. At a quick glance, the size, layout, and capabilities of your facility will be visible to future customers to see. Among our clients are companies like Holcim International, MACE Construction, NORM, SMG, PRG, Crisdel Group, etc. Industrial Photography & videography is the best way to promote and present your business in New Jersey social and business networks. Using the close-up technique allows us to reveal the minute details of an object. The subject fills the frame which is great for portraits and capturing a small part of a larger object. In certain industrial photography shots, this is exactly what we want to achieve. However, a whole new world is opened up to us when photographing industrial items with macro shots. We are able to reveal the finer details on a much clearer and grander scale. Macro shots give us the ability to make a small object appear larger than reality. Focusing on a small section of a larger industrial item lets people view it in a completely new light. Industrial photography is a must for any company involved in manufacturing. Isa Aydin has the expertise to produce high-quality images that can be used with any media form. Your printed and online marketing should showcase your processes from start to finish. Let your website and online marketing platforms provide potential clients with a visual picture of exactly what you have to offer. 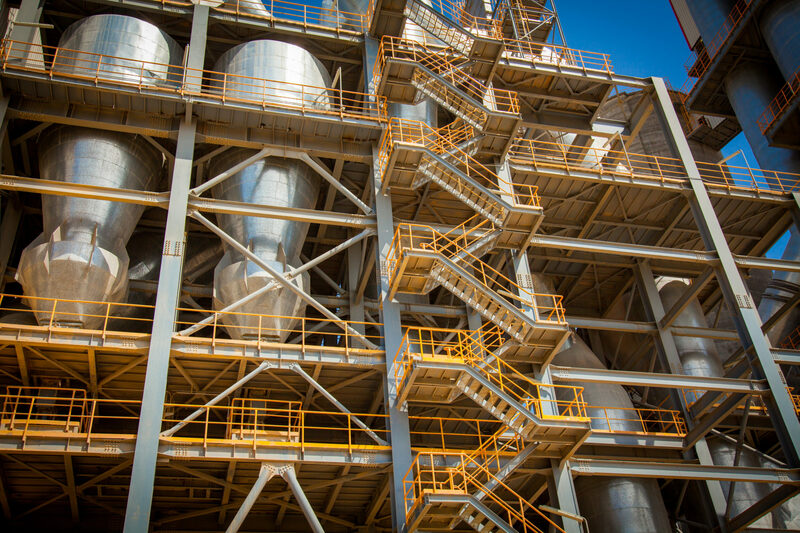 For all your industrial photography needs in New Jersey and beyond, Isa Aydin will showcase your business at its best. Short Description: We are a dedicated team of industrial photographers in New Jersey who meet all safety policies and works under harshest conditions! Having a skilled film and industrial photography crew empowers us in creating targeted corporate videos that will clearly describe your services to your clients.